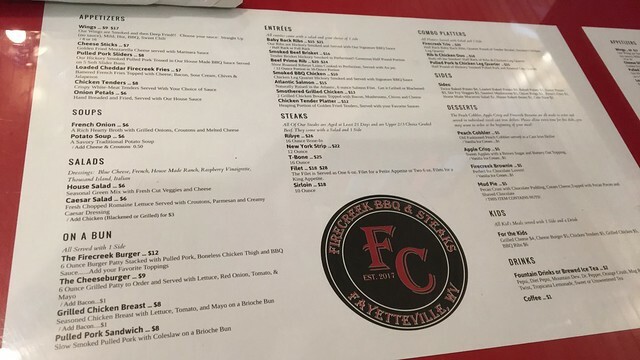 Firecreek BBQ & Steaks is a new restaurant in Fayetteville serving up bbq classic - with a side of steak. 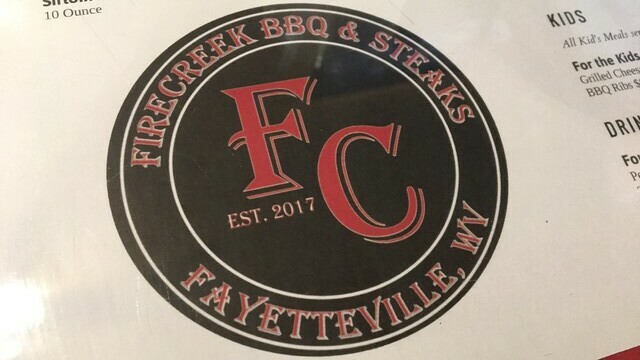 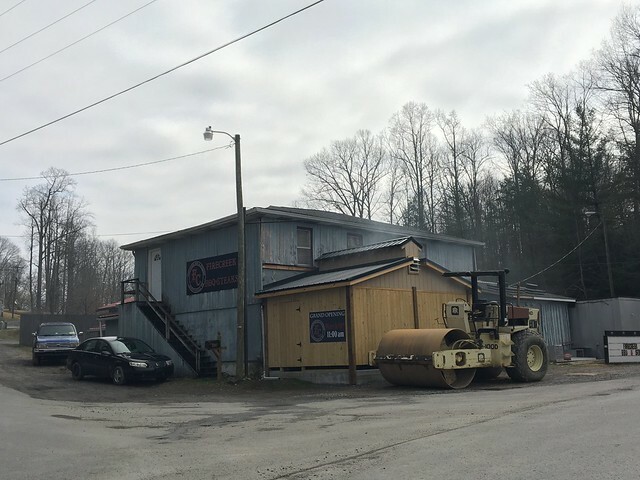 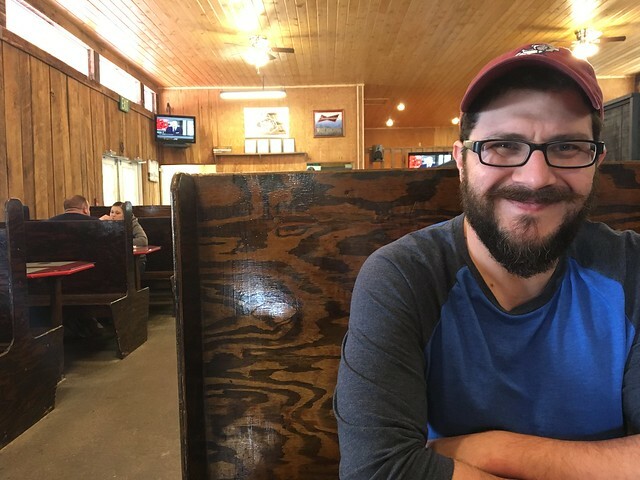 Firecreek BBQ & Steaks took over the space of the former Dirty Ernie's Rib Pit. 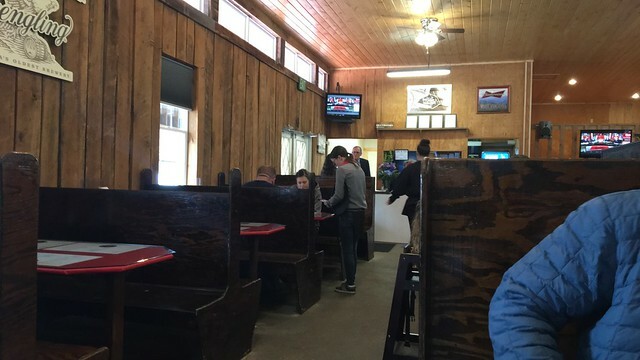 Inside, it's wood everywhere - walls, ceiling, booths. 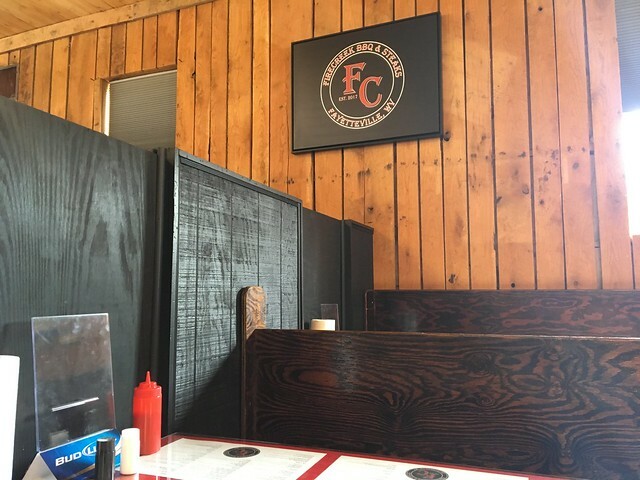 The menus were placed beneath glass on the table, which was pretty clever. 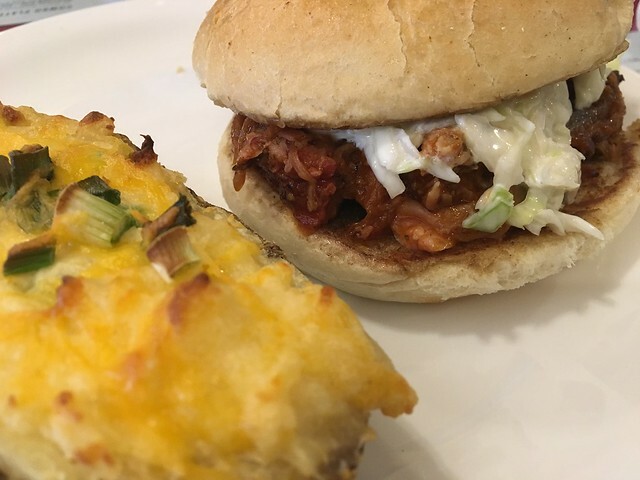 Pulled pork sandwich on brioche with slaw and a side of twice baked potato.